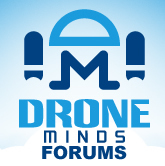 Discussion in 'General Drone Forums' started by Jacobcullen, Mar 9, 2019. I have no idea and never flew a drone before. Would like to buy a drone with goggles and the only brand I know android 9 (and suppose it's good) is DJI. free netflix However this drones with goggles cost ~1.2K which look kinda expensive. Can you give me your opinions about what should I go for? tech news Btw, how is the goggles FPV experience? Is it immersive? Difficult to use? DJI products are excellent but probably not the best if you are just learning to fly. Many of the people I know, including myself started out with a less expensive symax type of drone just purchased at a local target or walmart. Maybe $50 or so dollars. One issue here is that you will crash several times while you are learning. Once you have the general idea of orientation, then consider something a bit faster or with GPS abilities, etc. As far as FPV, these symax type of kits usually have a Wi-Fi camera built in to them. This means you can use you cell phone as a point of reference for video. The video is choppy because it is Wi-Fi instead of the true 5.8ghtz, but its a good starting point. Some people do find it easier learning the FPV way to fly. I found it easier using the line of site method.